DALLAS, TX, USA, October 30, 2018 /EINPresswire.com/ — American Medical Devices is a new medical device company joining the growing ranks of diversified companies that are part of Waite Enterprise. In recent weeks Waite Enterprise has been growing strength in its corporate ranks in the medical sector in particular, while also continuing to build out its financial, automobile, and construction holdings along with its investment portfolio. Now the company has further expanded as AMD is rolling out an innovative FDA approved medical device called the Vagal-Neuro Stimulator, a device that helps treat pain and mobility issues, tissue oxygenation and peripheral artery disease associated with a number of syndromes and ailments, from post amputation pain to Peripheral Artery Disease (PAD) and Diabetic Neuropathy. 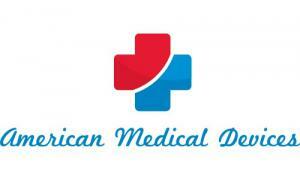 American Medical Devices is a medical device company located in Dallas, Texas. American Medical Devices is a growing company currently releasing and delivering a proprietary pain treatment device called the Vagal-Neuro Stimulator.